Key dimensions: 1/8in x 1/2in; heart is 3/8in in width. 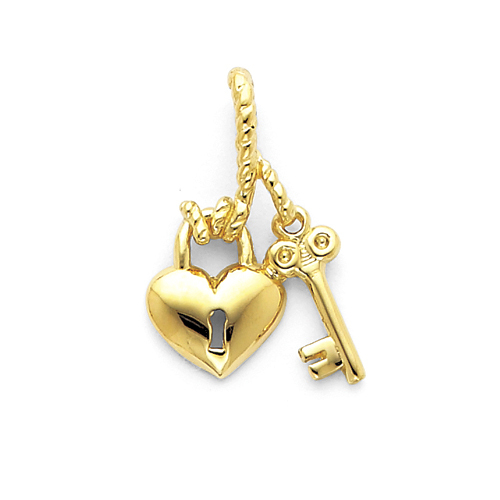 Polished, 14kt yellow gold charm weighs approximately 1.6 grams. Open back. Chain not included. Made in the USA.